I finally found the perfect summer shoes! I've never been so much for sandals and I love wearing my boots throught summer as well...but sometimes a "socks-free" day(s) could be good for the feet as well! 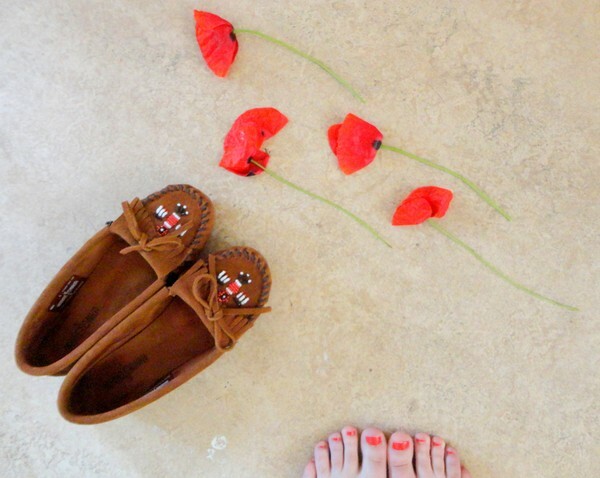 These lovely and comfortable loafers come from Minnetonka and are called Thunderbird II. I look forward to a lot of hot, summer days with these!